It’s Monday. Are you ready to take on a another week? 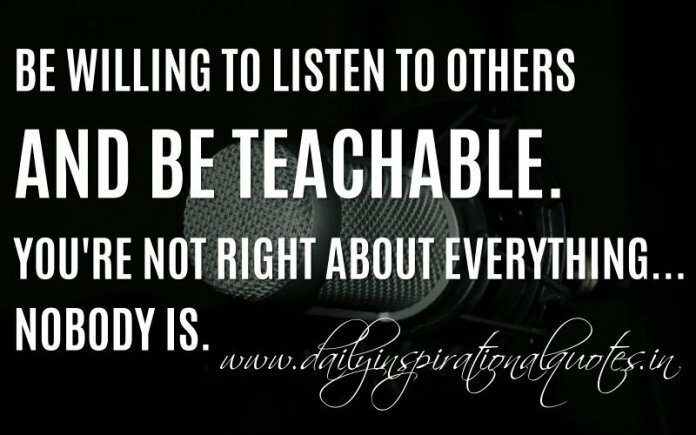 how well you listen to the people around you. what you give your attention to (problems or all the opportunities to make things better). your mental attitude (what kind of thoughts you think). how well you keep your emotions (and your ego) in check. For the past 12 years I have worked as a corporate trainer and executive coach, and I absolutely love what I do. I had some pretty cool successes but I also had clients who didn’t seem to make any progress. You cannot help people who don’t want to be helped. People have to take on the self-improvement journey to become a better version of themselves because they want to and not because they have to. Some people are in the wrong job. How can you help someone if they dislike what they do in the first place? Unfortunately not everyone is coachable. Why make this week a sad repetition of last week? You have the opportunity to make this an awesome week. 1. Start meetings by having everyone who is attending the meeting state something good that happened since the last meeting. This will help to focus on effort and progress. 2. Say “hello, please and thank you” to all the people who cross your path. Simple life skills shouldn’t be forgotten in the corporate world. 3. Listen and learn from the people around you instead of showing how smart you are. Everyone around you knows something that you don’t. Monday is a great day to be awesome! Go for it!